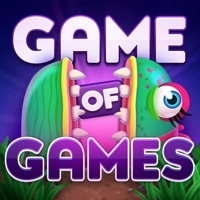 Enter the world of "Game of Games," where you can play fun trivia games against real players, just like the games on Ellen's TV show "Game of Games"! 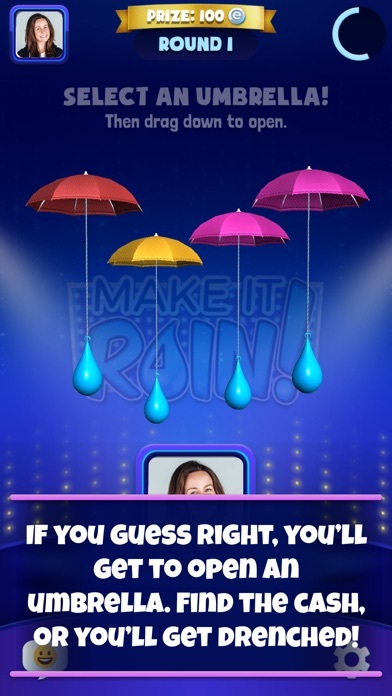 Combine your knowledge, skill, and a little bit of luck to take on "One Eyed Monster.” Win big or get soaked in "Make It Rain” by trying to find the umbrella full of cash! 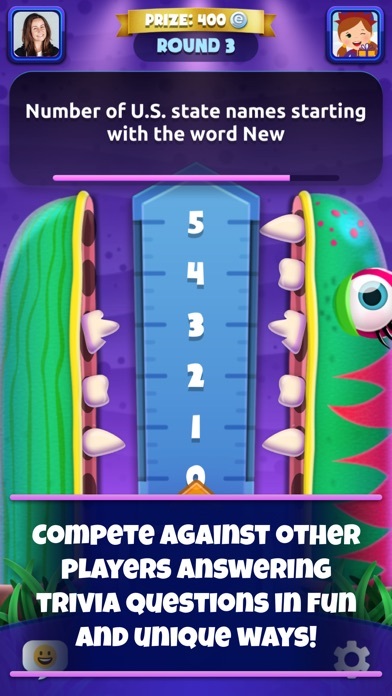 The more you play, the more you'll win fun prizes and unlock bigger challenges! 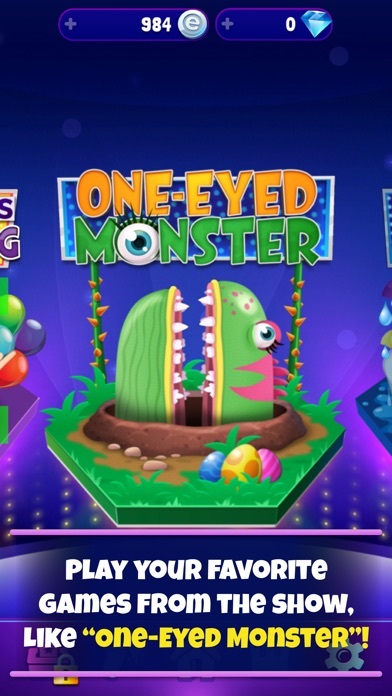 Collect stickers, and earn special props you can use during your game for added fun! 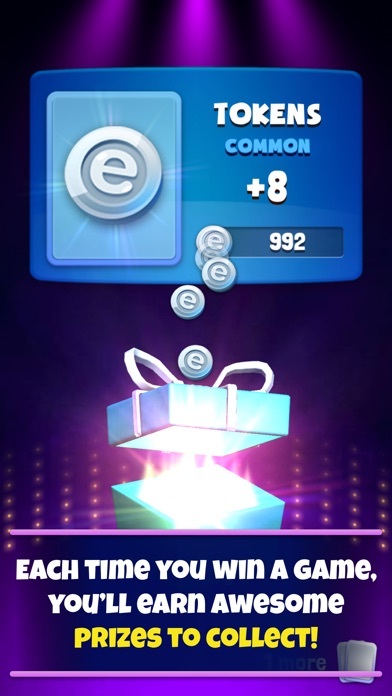 Plus, coming soon, you'll be able to win real-world prizes! 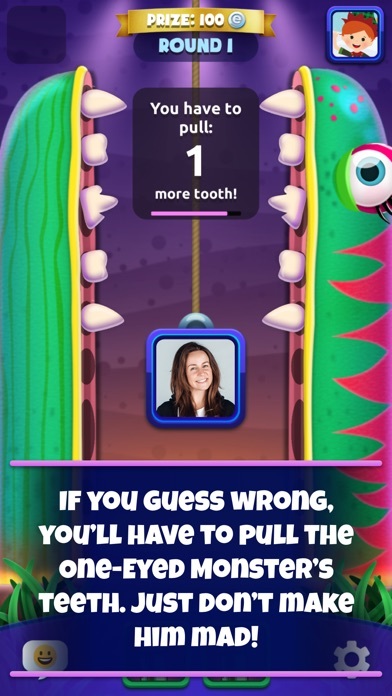 Tune in to Ellen's "Game of Games" each week to use our special feature, "Game of Games Play Along Live!” – the prizes jump right off your screen and into your phone! 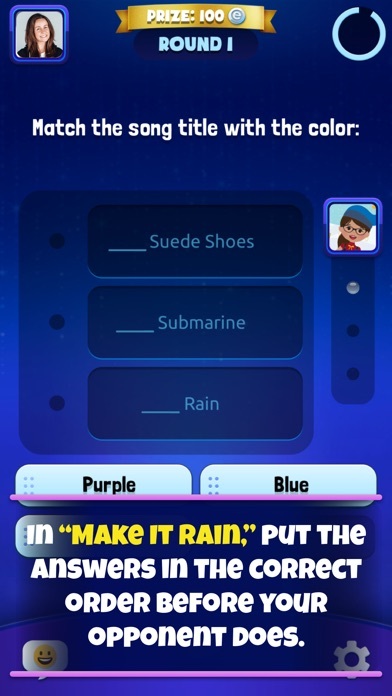 Viewers have the chance to play along with the show and win epic prizes from home!